This tutorial shows you how to compile PHP7.0/PHP7.1 on Arch Linux and install it alongside PHP7.2. Arch Linux is a rolling-release distribution with the newest and greatest software. PHP7.2 landed in Arch Linux repository. Some web applications such as WordPress works well with PHP7.2, but others like NextCloud currently doesn’t support PHP7.2. The upcoming NextCloud version – NextCloud 13 – is said to be compatible with PHP7.2. Yesterday I did an upgrade on my Arch Linux server, which resulted in PHP7.2 replacing PHP7.1 and my NextCloud web interface stopped working. The AUR (Arch User Repository) provides PHP7.0. I tried to install it with Yaourt, but the signature verification failed, so I had no other choice but to compile PHP7.0/PHP7.1 myself. 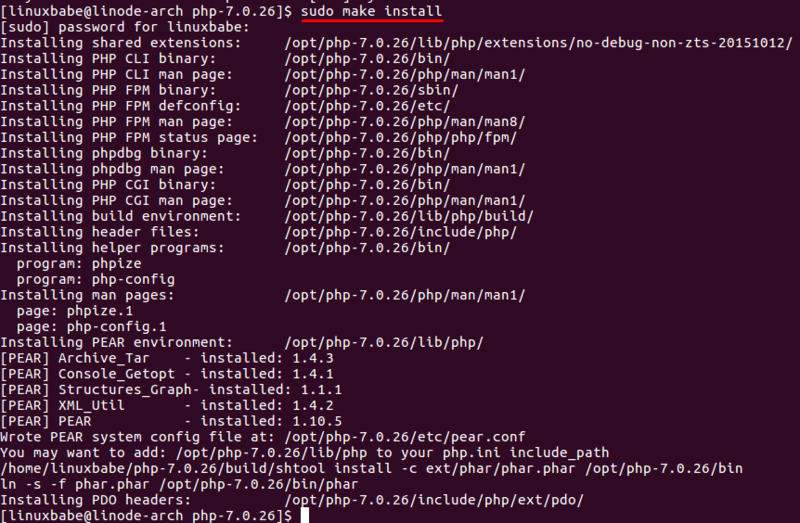 Install wget and download PHP source code. I use the latest version of PHP7.0. Replace the version number with your preferred version. Cd into the newly created directory. Install build tools and dependencies. Configure the environment with the following parameters. Copy the entire command and paste it to your terminal window. When it’s done, let’s compile PHP7 with make command. Replace 2 with the number of CPU cores on your machine. By default make uses 1 core, you can make the compile process faster by using all available cores. The compile process can take some time, depending on your CPU power. Once it’s finished, run a test. Now install PHP. 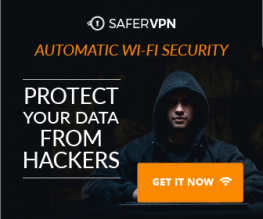 The installation directory is /opt/php-7.0.26/. From the screenshot, we can see PHP-FPM binary is installed to /opt/php-7.0.26/sbin/ and PHP-FPM configuration directory is /opt/php-7.0.26/etc/. Before running PHP-FPM, we need to create the PHP-FPM configuration file. There are two sample configuration files so we can just copy them. Edit the www.conf configuration file. By default, PHP-FPM listens on TCP socket 127.0.0.1:9000, we can make it listen on Unix socket. Find the following line. Add a semicolon at the beginning to comment it out. Then add the following line below it. Next, find the following 3 lines and uncomment them. Save and close the file. Next copy the php.ini file. Add the following at the bottom of the file. Create Systemd service unit for PHP7.0. Save and close the file. Now we can kill the current running PHP7.0-FPM and run it via systemd. Find the PID of PHP7.0-FPM master process. Note that the PHP7.2-FPM binary is also named php-fpm.If you use pkill php-fpm, then both PHP7.2-FPM and PHP7.0-FPM will stop. Now start php7.0-fpm via systemd. To make Nginx use PHP7.0 instead of PHP7.2, open Nginx server block file, find the following line. There may be more than one instance of this line. You need to change all of them. Then make http (the web server user on Arch Linux) as the owner of /run/php-fpm/php7.0-fpm.sock file. If the test if successful, reload Nginx for the changes to take effect. That’s it! I hope this tutorial helped you compile PHP7.0/7.1 from source on Arch Linux. As always, if you found this post useful, then subscribe to our free newsletter to get more useful tips and tricks.